5 Near & Quiet Island Off Coast Of Bali You Must See! Bali is blessed by the beautiful natural landscape of a number of islands off its coasts. The sensation of freedom, escaping from the crowd, and exoticism are some of the reasons to explore these islands. These tiny islands still offer a real feeling, take your breath away and often the best places to watch that stunning sunset, snorkel or diving in the crystal clear water. Its natural empty beaches can inspire your desire to walking down the sandy stretch and dip your toes under the smooth sand. Explore these beautiful near & quiet island off coast of Bali, each of which has its own personality and is certainly worth a visit! 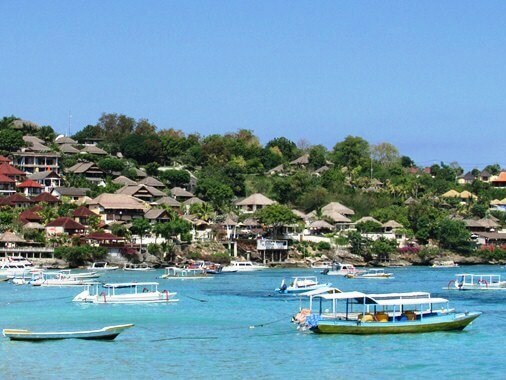 Lembongan Island Bali is famous for its natural beaches. In addition, beaches here have crystal clear water that very indulgent to the visitor not to mention the divers. 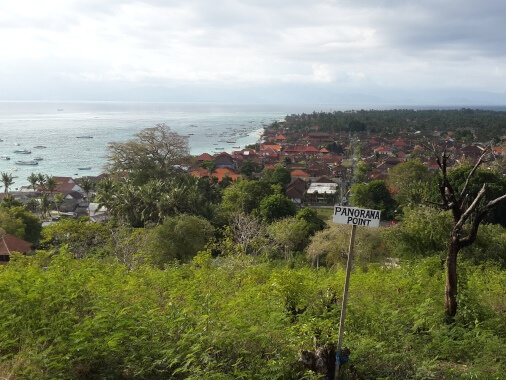 Supported by tourism facilities make Lembongan as a famous tourist destination in Bali. The amazing coastal landscapes, exotic sunsets, and gorgeous beaches are a key to draw the visitors. The main attractions offered by Lembongan include Natural Beach (such as Dream Beach, Sandy Bay or Sunset Beach, Mushroom Beach or Tanjung Sanghyang Beach, etc. ), Diving and Snorkeling, Water Sport, Surfing, Sailing, and Fishing. To get to Nusa Lembongan can be done by marine transportation through Sanur Port, Benoa Harbor and Public Boat from Buyuk Port and Toyapakeh Port in Nusa Penida. Situation in Lembongan Island is far from hectic and crowded. Nusa Ceningan Bali has a spectacular nature and beautiful scenery. This Island has tranquil atmosphere, away from hassle and hectic pace, and the most important is no congestion here. 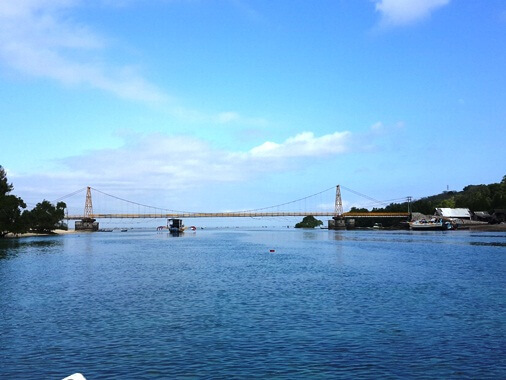 Before set a foot on this island, visitor must reach this location through a yellow suspension bridge. This beautiful island offers the visitor broad activities such as surfing, snorkeling, and diving. It has a great surf break and amazing underwater coral reef with natural channels. Watersport also can be done here and even relax or walk along the white sandy beach will give a distinctive impression of your holiday. 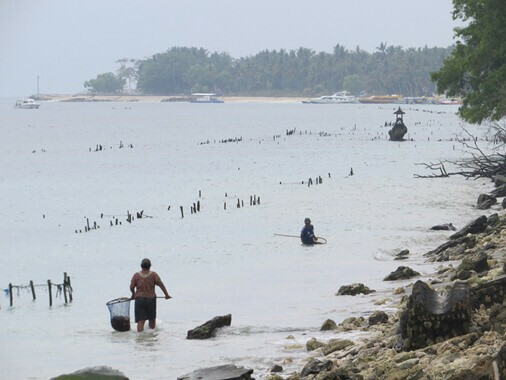 There's also another unique on the island such as seaweed cultivation as a main local’s occupation, the presence of Bakung Temple, and the nesting cave of Swallow. Nusa Ceningan Bali also offer a beautiful sunset fused with its surrounding. Nusa Penida Bali has natural beach, beautiful scenery, spectacular landscape and rich ecosystems. This amazing island is located just off the south-east of Bali including the two islands, Ceningan and Lembongan. Nusa Penida offers the visitors with a broad attractions such as natural, recreation and sport, bird sanctuary, art, cultural and religious. Access to Nusa Penida Bali can be done via Padang Bai, Kusamba, Benoa Harbour, Sanur and Nusa Lembongan. Nusa Penida Bali has unique activity and became the main livelihood of locals, seaweed cultivation. There are another unique of local’s skill in a form of weaving called "Tenun Cepuk" in Tanglad Village and "Tenun Cepuk Rangrang" in Pejukutan Village. This island also has beautiful coral reefs and become main destination for divers and snorkelers. There are several diving spot including snorkeling in Nusa Penida Bali and most visited by visitors such as Crystal Bay, Gamat Bay, Toyapakeh, Toyapakeh Wall, SD Point, Ped Pont, Sental Point, Buyuk Point, Sampalan Point, Malibu Point, Batu Abah, Manta Point and Screet Manta. Menjangan Island or Pulau Menjangan is a harmonious blend of beautiful deep blue sea, coastal, terrestrial habitat and spiritual value. Pulau Menjangan is located just off the northwest of Bali. This beautiful place is included into West Bali National Park. The trip to Pulau Menjangan can be done by boat from Labuhan Lalang which is located in the Distrik of Gerokgak, Buleleng Regency, and Bali. This land is uninhabited and covered by savanna forest vegetation. The diversity of coral reef, reef fish and other marine life are very indulgent to snorkelers and divers. The coastal has white sandy beaches, warm and shallow waters are very ideal for swimming. On this beach, visitor can enjoy the exotic and natural panorama of the deep sea under the sun light. 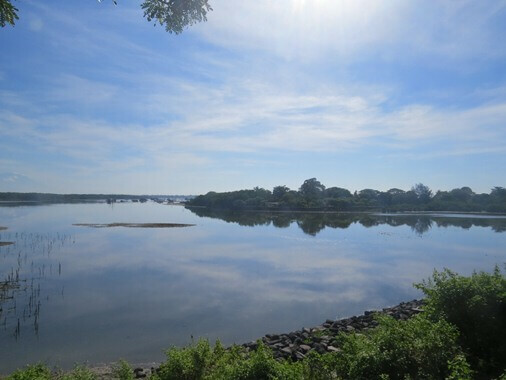 Mainland is the natural habitat of deer, seabirds and shorebirds. Spiritual shades are also very attached due to the presence of several temples on this natural island. A natural and uninhabited island offers tranquility and high spiritual values. 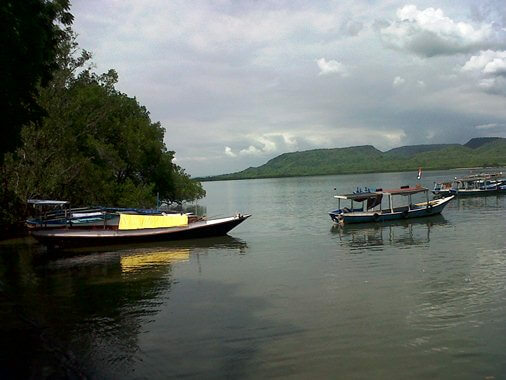 Serangan Bali has beautiful landscape and amazing marine life. It’s also serving as conservation area in Bali for scarce animal such as sea turtle, coral fish, coral reef, etc. The presence of Sakenan Temple is sacred and respected not only by local but also the people outside the island. The Temple is a symbol of the great spiritual vibe at this beautiful island. Visitors can enjoy the beauty of flat-type beach and white sandy on Serangan Bali. Shallow and calm water conditions is making the beach suitable for swimming activities, sunbathing or just walking along the coast. Water sports activity also can be done here such as sea walker underwater, snorkeling, donut boat, skiing jack, fly fishing, parasailing, banana boat, wakeboard and waterski. Beaches have a beautiful underwater panorama and coral reefs. The beach also offers big waves and strong wind to the surfers. This beach is one of "The Best Surf Point in Bali" and offers huge and strong waves. The water at beach edge is relatively quiet. But at the shore break in the middle ocean, the waves were big and strong. There are also artificial lakes. These lake-shaped basins have forest background and the front surrounded by revetment to prevent the ingress of seawater directly. There's footpath along this revetment. Take your time to explore these beautiful five near & quiet island off coast of Bali, hopefully helpful and thank you! 2. The 4 Great Lake In Bali.